The New York Times bestselling e-book serialisation complete and in print for the first time. If you love Fifty Shades, Bared to You and J. Kenner you'll adore Because You Are Mine...It's at a cocktail party in her honour that she first meets him - and the attraction is immediate for graduate student Francesca Arno. It's also bewildering. She's not used to such a wholesale sexual response to a stranger. Enigmatic, darkly intense, with a commanding presence, billionaire Ian Noble completely unnerves her. And she likes it. For Ian, Francesca is the kind of woman he can't resist - one that comes all too rarely: a true innocent. But he can sense in her a desire to open up, to experiment, to give herself to the fantasies of a man in control. 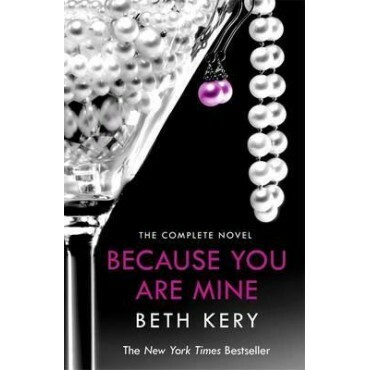 The first kiss, the first caress, the first challenge for a woman who craves what she's never had - a man who gets what he wants...For more electrifying, passionate romance, don't miss the other titles in the Because You Are Mine series: When I'm With You, Because We Belong and Since I Saw You and look for Beth's sizzling new serialisation The Affair.